It increasingly seems like children are finding new and creative ways to injure themselves as soon as their parents’ backs are turned. Their inquisitive and playful nature means that injuries are inevitable and rather than trying to avoid them all together we should look for ways in which we can help to prevent them and mitigate any damage caused. The following advice comes directly from a study which spoke to nurses from around the United States. 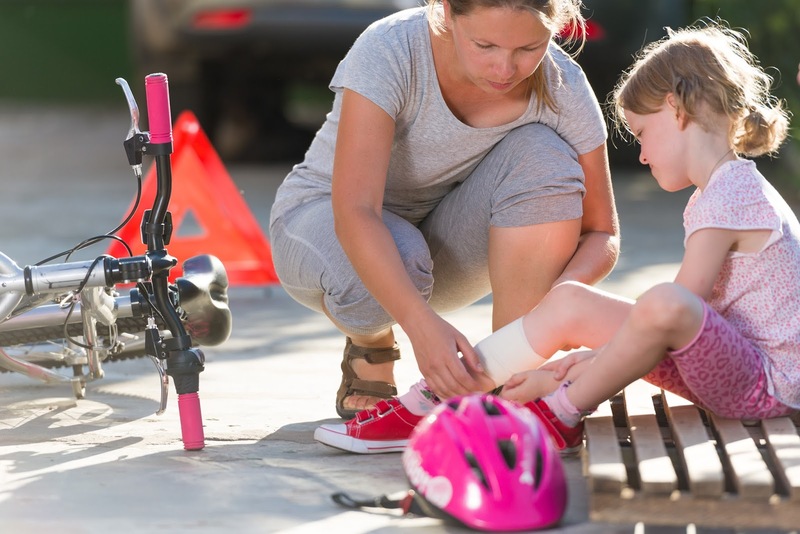 Nurses were asked for their input on the best ways to avoid common childhood injuries and how to encourage your children to think seriously about their safety. The most serious risk for the youngest children is that presented by choking and suffocation. In fact, as many as 66% of toddler deaths are the result of suffocation. The good news is that with care and attention, the risks of this occurring can be seriously reduced. The most important factor in bringing this number down is ensuring that toddlers have a suitable sleeping environment and that they are laid down on their backs to sleep. They should only ever be put to sleep on furniture specifically designed for infants. Once children learn to walk, climb, and generally move around for themselves, the potential for unintentional injuries increases dramatically. Around a third of all serious injuries sustained by toddlers are the result of an automobile collision or vehicle crash. Drowning is a serious concern and if you have a swimming pool, or any body of open water, on your property then you should ensure that there is a fence around it to prevent toddlers from falling in. Another concern is poisoning. To avoid this, ensure that any toxic products and medicines are kept securely stored where young children cannot get to them. Burns and scalds are another common cause of injury for toddlers, usually caused by cooking equipment and hot water. To mitigate the danger, reduce the temperature of any water heaters in your home to no more than 130 degrees Fahrenheit. If you are interested in learning more about children’s safety, then consider a career in nursing. Nursing is a career with many progression opportunities and after qualifying as a registered nurse (RN) you can take an RN to MSN course in order to reach the next level. You can even do your RN to MSN online while still working. The risks to older children are much the same as they are for toddlers. However, in older children, while injuries from physical activity are likely, their bodies are now mature enough to handle the increase. Ensure that any adolescents understand the importance of wearing a seatbelt while in a car, as this is one of the leading causes of death in teenagers. Children are by their nature injury prone but, fortunately, it is quite easy to substantially reduce the risk of anything serious happening to them. By following the advice above you can easily create a safer atmosphere for you and your children.